Mineral makeup has grown in popularity throughout the last few years. Not only is it a more natural and healthy alternative for your skin, but it can provide the same coverage as other face makeup products. Find out the skinny on this makeup trend. Because mineral makeup is made with healthy minerals and natural pigments, it does not clog your pores as and doesn’t penetrate the skin. Your skin will stay healthier because it is able to breathe. With mineral cosmetics you can create sheer coverage and a flawless finish without disturbing your skin. Pure mineral makeup contains no fragrances or chemicals, which can damage and irritate your skin with long-term use. The minerals also work to protect your skin against free radicals. Because there are no fillers or chemicals in mineral makeup, it has a longer shelf life than traditional cosmetics. Without chemicals, the products don’t harbor bacteria and go bad. Mineral based makeup can be very versatile. 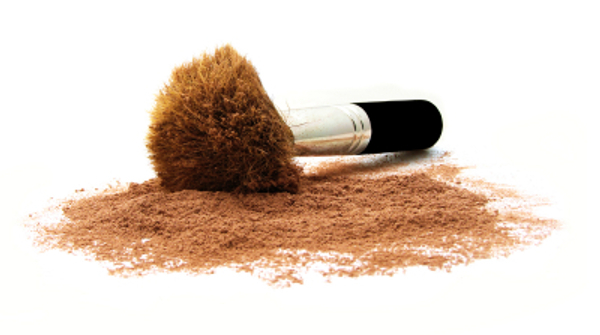 You can use a mineral foundation powder in a variety of ways. You can mix it with water or moisturizer to create a creamy foundation, or use alone as a powder. You have the ability to add more powder or liquid to get the consistency and coverage you desire. After washing your face in the morning, apply your normal facial moisturizer. Before applying mineral makeup, allow the moisturizer to dry or else your makeup will look cakey. Add a small amount of mineral powder into the lid of the container. Using a big makeup brush, swirl the powder onto the brush and then tap on the edge of the container. To create a flawless finish, you need to apply mineral powder in thin layers. Therefore, be sure not to put too much powder on your makeup brush. Work from the outside in. Begin by applying the mineral powder to your face near the jaw line and hair line. In a circular motion, pressing gently, swirl the mineral powder onto your face. You should continue working inward, finishing with your nose. After application, wait a few minutes and the powder will seemingly disappear, leaving a nice finish. If you see that you have an area that needs extra attention, such as a blemish, you can use a smaller brush and spot mineral powder onto the area. Applying mineral based bronzer, blush, eyeshadow and other mineral makeup is done in the same way – swirling your brush and using light layers. The pigments in mineral makeup products are very concentrated – so remember a little goes a long way. This is one of the most popular brands of mineral makeup and it is highly-rated by users. Bare Minerals creates a beautiful finish and is very lightweight. It lasts a long time, even in hot, humid weather. This mineral makeup offers excellent coverage, terrific colors and a nice finish. Jane Iredale mineral makeup also delivers UVA and UVB protection. Youngblood offers a silky, lightweight powder foundation that is also long-lasting. Additionally, they feature both a pressed mineral powder and liquid mineral foundation as welll. Other top brands of mineral cosmetics include Affordable Mineral Makeup, Colorescience, GloMinerals, Illuminare, Laura Geller and Pur Minerals. 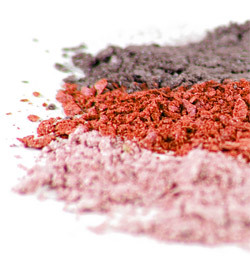 Tell us: What’s your favorite brand of mineral makeup?